Are Chronic Fatigue Syndrome and Fibromyalgia Related to Parkinson's Disease? Combining a Parkinson’s drug called L-dopa with a non-steroidal anti-inflammatory drug completely eliminated any signs that an animal model was feeling pain. A clinical trial in humans is underway. From Margaret Williams : further details about PACE Trial data security. Permission to repost. "Two points merit further consideration: (i) the matter of guaranteed confidential storage of PACE trial data and (ii) the Principal Investigators’ undeclared conflict of interest until after the consent forms were signed by participants. What Matthees did not mention was the fact that one of the organisations funding the study was the UK Department for Work and Pensions (DWP). How many participants looked at the funding bodies before signing the consent forms and realising to what they were giving their consent? Quite how “confidentiality” could be guaranteed if the DWP had access to the data has never been explained, especially as ME/CFS is known to be a targeted disorder for the withdrawal of state benefits, with patients being harassed by the DWP who required a 60-page form to be completed because the DWP menacingly informed such patients: “We have reason to believe that you are capable of work”. If the PACE trial therapists and Investigators deemed a participant “recovered” enough to resume work, then might that participant quickly discover that the DWP stopped paying benefit? 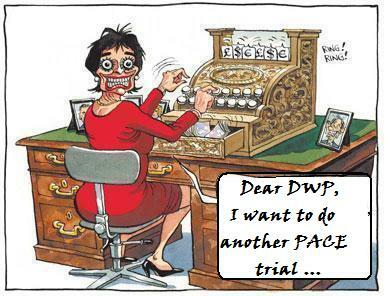 The PACE Trial has been described as a “Trojan horse” for the DWP. “Yes. All your details and all recordings will be kept strictly confidential and held in a locked filing cabinet or on a secure computer. People on our research team will only see your records if they need to for the research”. The DWP was not involved in research but still had participants’ signed permission to access their records/data. “3. I understand that any of my medical notes may be looked at by responsible individuals from either the trial or regulatory authorities where it is relevant to my taking part in research. 4. I give permission for these individuals to have access to my records. 14. I understand that information collected about me for the trial, including my personal details, a copy of this consent form and all of the questionnaires I complete for the trial, will be held securely by the local trial staff and at the PACE trial centre at Queen Mary, University of London. I give permission for this to happen”. The PACE PIs obtained participants’ consent on the promise of keeping trial data secure, yet they had made no provision to do any such thing. “If the participant chooses not to give an answer, please use the prompt card to show income brackets, and record the letter [an alphabetical letter designating an income bracket] that corresponds to the participant's income”. “If the participant chooses not to give an answer, please use the prompt card to show income brackets, and record the (alphabetical) letter that corresponds to the participant's income”. Such specific questions have no clinical relevance but would be of interest to the Chief PI of the PACE trial in his dual role as the re-insurer Swiss Re’s Chief Medical Officer. As detailed by David Tuller, participants could not give fully informed consent because the PIs’ Iong-standing involvement with the permanent health insurance industry was never disclosed to them. Indeed, it appears that this significant conflict of interest was not initially disclosed even to the Trial Steering Committee: at the meeting on 22nd April 2004, all members present were asked to declare any conflict of interest. 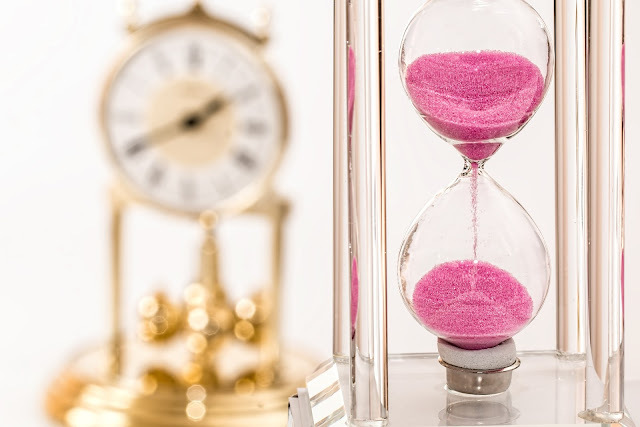 It was minuted that no financial conflicts of interest were declared and it was agreed that no-one present had any other substantial or material conflict relevant to their work on the PACE Trial. Amongst those present were Professors Peter White, Michael Sharpe and Trudie Chalder, all of whom worked for the permanent insurance industry. There was a brief mention of paid consultancy work done by the PIs in the BMC Neurology version of the Protocol, which was long after signed consent forms had been obtained." A brain region controlling whether we feel happy or sad, as well as addiction, is remodeled by chronic pain, reports a new study. And in a significant breakthrough, scientists have developed a new treatment that restores this region and dramatically lessens pain symptoms in an animal model. The new treatment combines two FDA-approved drugs: a Parkinson's drug, L-dopa, and a non-steroidal anti-inflammatory drug. These drugs target affected brain circuits and completely eliminate chronic pain behavior. your blood boil as much as ours”. A new study has found that two human herpesviruses: Epstein-Barr virus (EBV) and Kaposi’s sarcoma-associated herpesvirus (KSHV), previously only proven to infect B cells, can also infect neurons. increased risk of developing MS.
pathologies involved in these diseases. The researchers also found that acyclovir was effective at inhibiting the production of virus from neuronal cells. EBV has also been associated with an increased risk of Chronic Fatigue Syndrome. 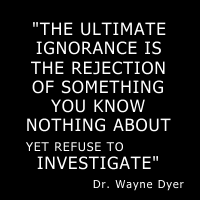 (unlike much cutting-edge research in ME/CFS). according to research published last week. of the act itself, researchers found. When one becomes chronically ill there are many emotional and behavioral changes that have to be made in order to properly cope with dealing with the symptoms, limitations, and loss associated with becoming ill. Today we are going to talk about the loss of the former self and how to continue to live life fully despite your numerous daily challenges when chronically ill.
One of the most important things I've learned about fibromyalgia, ME/CFS and Lyme is there is a wide spectrum of disability among our patient groups. Some of us lead pretty normal lives in spite of the pain, fatigue and other symptoms, and some of us have symptoms so severe that we can't get out of the bed, much less clean a toilet. Given that spectrum, it's impossible to come up with tips that apply to everyone. So, in reading these, I ask that you apply the tips you can use based on your abilities and ignore the rest. (KSHV) can directly infect neurons has been largely overlooked. For anyone new to M.E., forget the implication that we’re just “tired all the time”. ME is extremely debilitating, both physically and mentally. In fact, research shows the ME patient population has lower scores for physical function and quality of life of any chronic disease group. So 97% of the 850 people with ME who took my survey needed help with 2 or more activities of daily living like going to the toilet, dressing or getting to a local shop. In terms of the Care Act, this means they met the main threshold of eligibility for social care in England. Yet only 6% were receiving a social care package. personal testimony when it is given. An Australian university is suggesting a new name to replace ME/CFS. The new name is Neuro-Inflammatory and Oxidative Fatigue or NIOF, after they studied 196 subjects with CFS (CDC criteria) and 83 with chronic fatigue and found two distinct groups. Members of the #MEAction Science and Treatment Policy and Media Working Groups have drafted this fact sheet to explain the real reasons why ME patients are opposed to CBT and GET. It’s not that we fear the stigma of mental illness. It’s that these treatments are ineffective and may actually make us worse. That view is held by more than 10,000 people around the world. 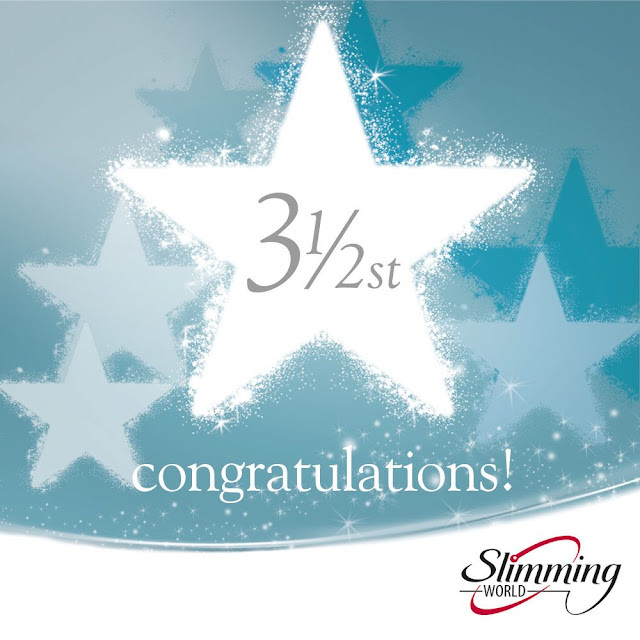 It's a problem common to all weightloss endeavours, but will be all the more familiar to you if you've followed a Slimming World plan. Of course it has it's disadvantages, but it's really useful to know that it's a good sign. Today, 3rd December, is the not-so-catchy entitled International Day of Persons with Disabilities, I have been informed. 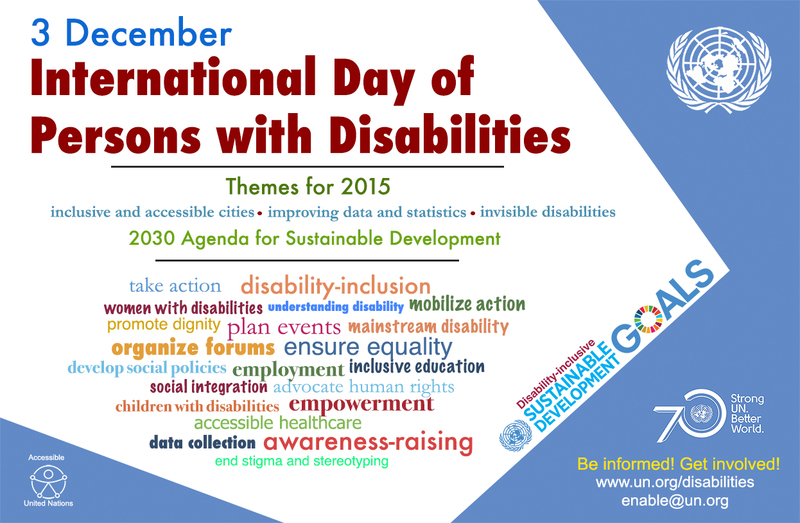 "The observance of the day aims to promote an understanding of disability issues and mobilize support for the dignity, rights and well-being of persons with disabilities. It also seeks to increase awareness of gains to be derived from the integration of persons with disabilities in every aspect of political, social, economic and cultural life", says its Wikipedia entry. Sadly, in the UK at the moment, we're really in need of help and support and none more so than those of us with invisible disabilities, who are so often maligned and misunderstood. Therefore, I was pleased to learn that one of the three sub-themes, decided by the UN for this year is, 'Including persons with invisible disabilities in society and development'. 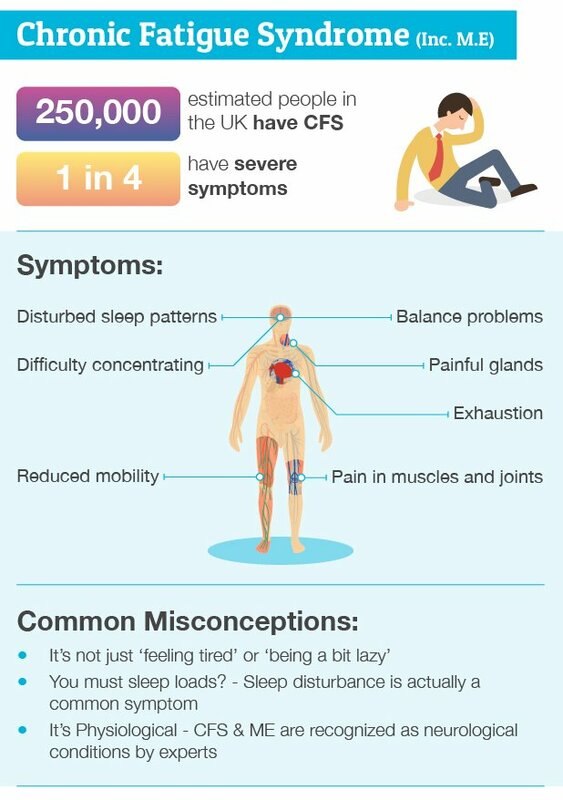 And I've been given access to the following infographic - I'm only posting part of it, the whole infographic can be seen here - that was created in the hope of raising awareness of Invisible Disabilities and explores some of the most common Invisible Disabilities in the UK (including CFS). 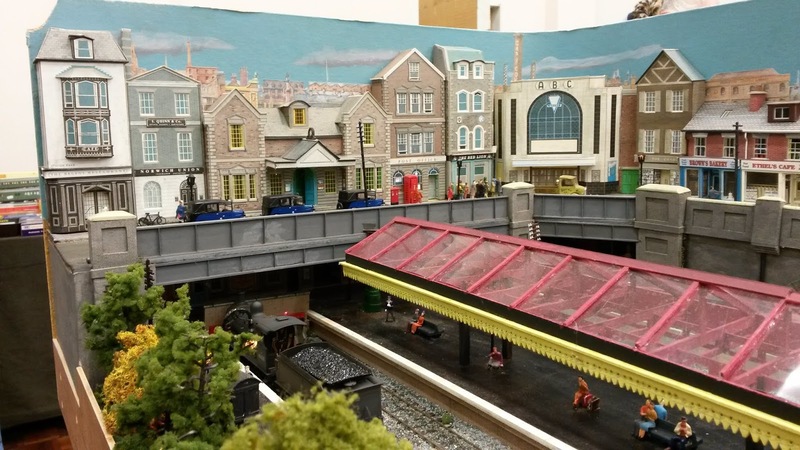 On Sunday, 29th November, we went to have a look at the New Forest Model Railway Society Open Day at Brockenhurst Village Hall, an exhibition we'd missed last year. A few years ago, when I was still living in Spain and I'd decided to let go of all my OO guage rolling stock and buildings, I had donated them to the New Forest Model Railway Society, simply because I'd gone to their exhibitions and open days with my dad, goodness knows how many years ago (more than I want to count anyway) and it was my way of giving back. Having done so, sadly, doesn't get me free entry today (joke), but I was glad to see that some of those buildings were being put to good use. They could, of course, have acquired the very same kits from elsewhere, but I had most of those low relief kits pictured above (excluding the station) and those were amongst the ones I had donated, so I assume that the ones you're seeing are the very ones my dad built when I was still a kid. They could be 50 years old. 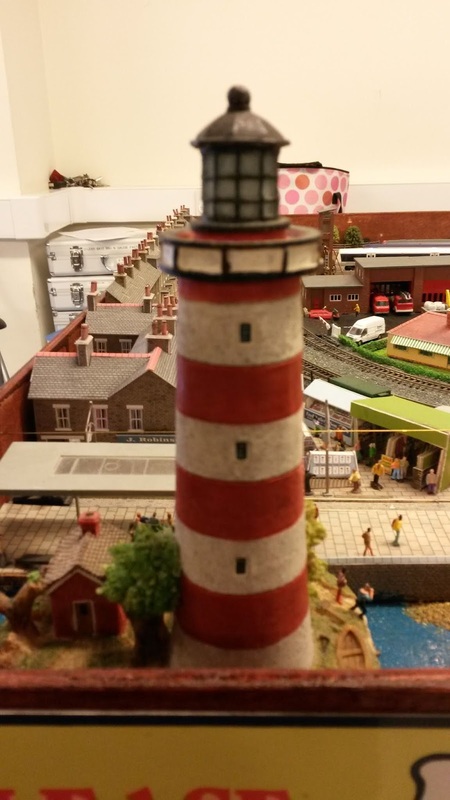 There was not much N Gauge at this open day. 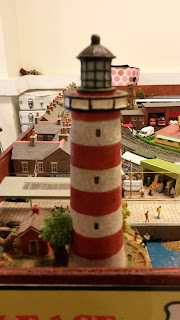 One layout with a lighthouse in the corner made me want this one from Langley Models even more than I already did. We may even have a suitable place on the harbour for it, I think, but it's one element that I'll be happy to wait and see on. One thing we really want to avoid is trying to squeeze every feature - no matter how cute - into the Porthkeres layout. Even if we are going to model a fictional location, it must try to be a believable one. The other thing we were reminded in relation to this, is the importance of a varied topography. Not only does it add interest to a layout, we don't typically have totally flat landscapes in real life. We'll try to make our fictional Cornish landscape as bumpy and abrupt as the real one. In one doctor's, Theodore Henderson, MD., PhD, experience, over 85% of patients with SEID (diagnosed by Fukuda criteria) respond to antiviral therapy, these data are also consistent with prior studies of antiviral treatment of SEID and there are other studies and trials ongoing. Antiviral therapy may therefore give hope to the general community of ME/CFS/Fibromyalgia patients that this may offer an effective treatment. Unless you're in the UK, of course, where the NICE Guidelines insist that Antiviral agents should not be used for the treatment of chronic fatigue syndrome/myalgic encephalomyelitis (CFS/ME). It never ceases to amaze (and anger) me that when these "guidelines" provide a GP with a "getout", such as in this case, they suddenly become rules set in stone that cannot be disobeyed. On the other hand, when I attempted to get assistance with weightloss - and clearly came within the parameters recommended by the "guidelines" for treatment - they reverted to being mere guidelines and a reason was repeatedly found for witholding the help. In other words, the guideline to not use antiviral agents will be adhered to here like a prohibition issued under pain of death. Antiretroviral therapies, or ART, have enabled people with HIV and AIDS to live much longer lives, transforming what was considered a death sentence into a chronic condition. Yet concerns for these patients remain. Up to half of people with HIV on these drug regimens have some sort of cognitive impairment, such as memory loss or problems with executive functioning, despite the virus being almost undetectable in their bodies. 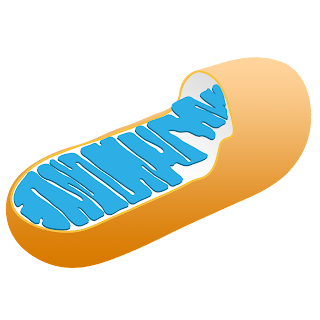 The second type of fatigue is the result of a large build-up of Reactive Oxygen Species (ROS) and depletion of ATP in the muscle cells. As far as we can determine from a careful search of the medical literature, this second type of fatigue is unique to patients with known inherited genetic mitochondrial diseases of skeletal muscle, AIDS patients undergoing treatment with antiretroviral drugs (who have severe mitochondrial dysfunction), and CFS/ME patients experiencing post-exertional “malaise.” It is this second type of fatigue that has the most permanent serious consequences for patients.